Dr. Chris Kolb is a proud graduate of Atherton High School (’94), a JCPS parent, an experienced educator, and a community leader with a track record of advocacy for children. He earned a Ph.D. from Johns Hopkins University in 2009. As a professor of anthropology and urban studies at Spalding University in downtown Louisville, he teaches and mentors hundreds of JCPS graduates. Dr. Kolb has years of experience listening to people’s hopes and concerns for their families and communities and turning that input into concrete action. As a teacher and community leader, he comes from the world of bottom-up collaborative leadership, not top-down decision making. 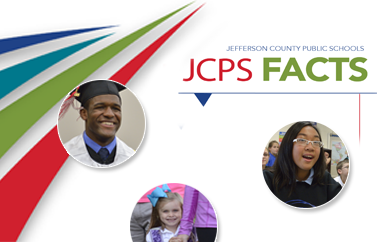 As a parent, researcher, and community leader, he has worked extensively with members of the school board and JCPS administration for six years. Dr. Kolb's academic research focuses on such topics as race and racism, drug laws, criminal justice policy, mental health, housing and homelessness, global economic development, poverty and unemployment, education, and restorative justice practices. In addition to volunteering at his children’s schools, he has spent many seasons as a Highland Youth Recreation (HYR) soccer coach and is an active member of St. Francis of Assisi, where he leads the justice ministry. Dr. Kolb and his wife, Bridget, have been married 15 years, and they have two children.